“Just because of what happened yesterday doesn’t mean that the pain stops,” he said in an interview. “A lot of people on this campus — my students here at the law school, my colleagues on the faculty, students on campus, people in the city, across the state — are in pain. According to a statement released by the Board of Curators late Monday, positions like Henson’s will be established on all four of the university system’s campuses, as well as at the system level. That move was part of a list of demands issued by Concerned Student 1950, the main protest group whose actions in recent weeks culminated in the president's and chancellor's departures on Monday. Asked what someone in his new job can do, besides being hired to satisfy the protesters’ demands, Henson said his emphasis will be on listening and on establishing proper relationships on campus. But Henson hesitated before answering whether the recent turmoil at Mizzou could have been avoided if someone had been in his new post six months ago. At this time, Henson said, people have to be patient. “I think it would be a mistake for anybody to think that just because a vice chancellor for inclusion, diversity and equity was appointed, that suddenly everything would heal, everything would get better and everything would become new,” he said. Loftin’s position as chancellor will be filled on an interim basis by Hank Foley, who has been a system vice president and a vice chancellor on the Columbia campus, both in the area of research. 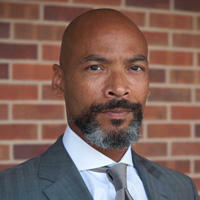 Wolfe remains on the job until an interim president is named. John Fougere, a spokesman for the system, said that choice will be made as quickly as possible. The Board of Curators have called a closed session for 4:30 Wednesday afternoon on the Columbia campus. Wolfe’s contract, which originally was set to expire in February of this year, was extended by the Board of Curators last year through the end of June 2018. His salary is $459,000. Fougere said Wolfe did not discuss any financial settlement with the curators Monday when submitting his resignation. Fougere said he had no information on whether a settlement will be forthcoming. 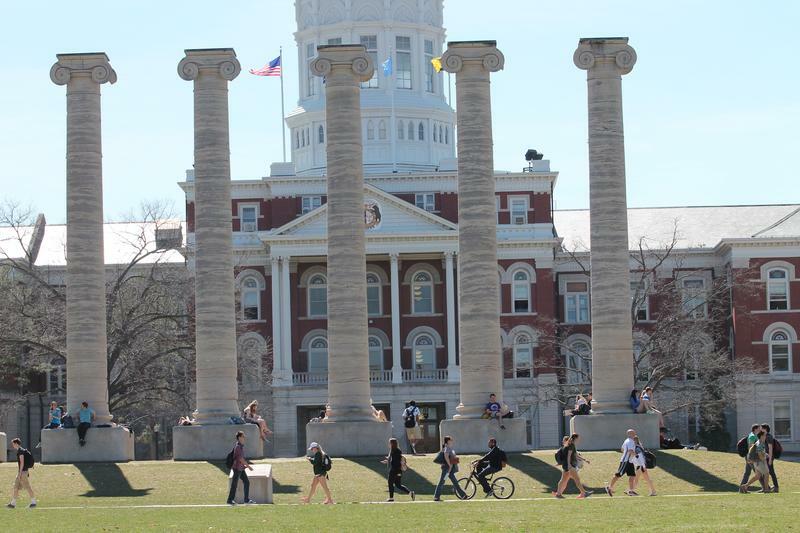 But hiring diversity officers, and anyone else needed to carry out the programs announced by the curators Monday, will strain an already tight budget for the university, according to Mizzou economics Professor Michael Podgursky. The result could be fewer faculty members and fewer classes for students to enroll in. On the day after the two resignations, Podgursky said he didn’t notice any fallout on campus in the two classes he taught. He called the whole situation “perplexing,” with a boycott by football players becoming the tipping point that led to the resignations of two top officials. “We need a good leader. I think you can get a good leader out of the academic community and you can get a bad leader out of the academic community, and vice versa. I think it’s got to be someone who will stand up for the principles of the university, the mission of the university, like freedom of speech and student rights. They’re important in higher ed. Podgursky, who has been at Mizzou for 21 years, said that until the last few months, he thought the racial situation on campus had been good. But like Henson, he said the climate has to be viewed in the context of the larger community. “In a world where there’s free speech, mean things will get said. We should try to make it a comfortable environment, but at the end of the day, you can’t control everything everyone says everywhere. So I hope everyone can understand that and try to muddle through,” he said. 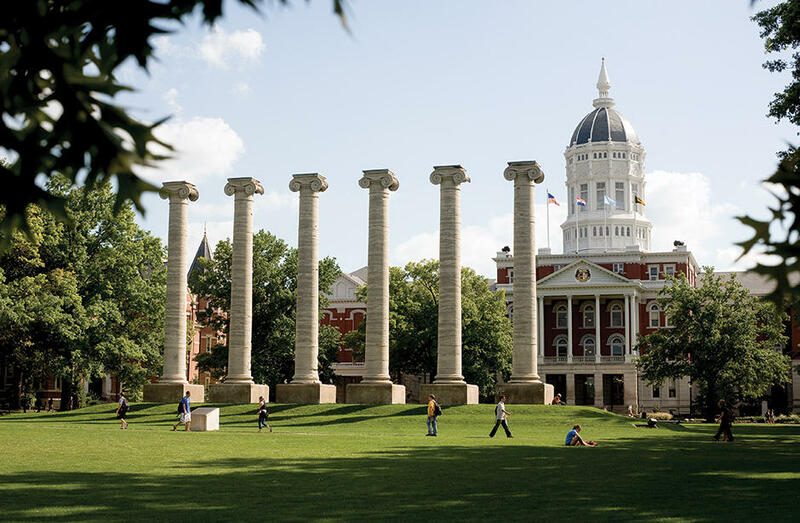 Meanwhile, on Tuesday the campus police department at Mizzou issued guidelines on how it would like to hear from students about what it termed hateful or hurtful speech. But the message didn’t sit well with the American Civil Liberties Union of Missouri, whose executive director said it “simultaneously does too much and too little." In an email, the campus police asked students who “witness incidents of hateful and/hurtful speech” to call police immediately, give a summary of the incident and a detailed description of the individuals involved, plus a license plate and vehicle description. If possible and safe, the police said, students should take photos with a cell phone. While such speech may not be criminal, the email added, prompt reporting can lead to action taken under the campus code of student conduct. A campus spokesman defended the process, saying that even if speech is protected by the First Amendment, the university is committed to upholding core principles of respect, responsibility, discovery and excellence. But Jeffrey Mittman of the ACLU criticized the approach taken by the police. “Racial epithets addressed to a specific person in a threatening or intimidating manner can be illegal,” he said in an email, “and may require action by police and/or university administrators. But, no governmental entity has the authority to broadly prohibit ‘hurtful’ speech — or even undefined ‘hateful’ speech, or to discipline against it. St. Louis-area student activists said University of Missouri System President Tim Wolfe’s resignation has re-energized the student protest movement that sprang up around Ferguson a year ago. 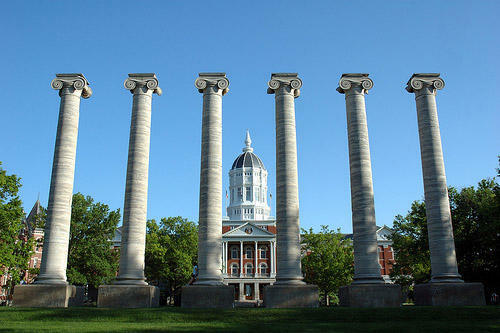 Mizzou students’ demands for a more diverse and inclusive campus are similar to those made by St. Louis student activists. Saint Louis University junior Jonathan Pulphus said Wolfe’s resignation proves that students' actions can change systems.